Eupen scored in last 6 games in Jupiler League. Brugge allowed opponents to score over 1.5 goals in last 7 home games in Jupiler League. Antwerp has over 2.5 goals in their last 6 away games in Jupiler League. Charleroi has under 2.5 goals in their last 12 games in Jupiler League. Brugge allowed opponents to score over 1.5 goals in last 10 games in Jupiler League. Antwerp has over 2.5 goals in their last 9 games in Jupiler League. Charleroi has under 2.5 goals in their last 12 home games in Jupiler League. Antwerp won their last 3 away games in Jupiler League. Hobro has over 2.5 goals in their last 3 games in Superligaen. Vendsyssel won their last 5 games in Superligaen. Hobro lost their last 3 games in Superligaen. Vendsyssel has over 2.5 goals in their last 7 games in Superligaen. Brondby scored in last 30 games in Superligaen. Vendsyssel won their last 3 away games in Superligaen. Brondby scored in last 17 away games in Superligaen. Brondby scored over 1.5 goals in last 5 away games in Superligaen. Vendsyssel has over 2.5 goals in their last 7 away games in Superligaen. Vendsyssel scored in last 3 away games in Superligaen. Melbourne Knights have scored in each of their last 8 matches in NPL Victoria (Australia). Heidelberg Utd have been undefeated in their last 5 away matches in NPL Victoria (Australia). 67% of Melbourne Knights’s matches had over 2.5 goals scored in NPL Victoria (Australia). Melbourne Knights conceded at least one goal in 100% of their home matches in NPL Victoria (Australia). South Melbourne conceded at least one goal in each of their last 5 home matches in NPL Victoria (Australia). Heidelberg Utd have scored in each of their last 5 away matches in NPL Victoria (Australia). Melbourne Knights have scored in 100% of their home matches in NPL Victoria (Australia). Melbourne Knights conceded at least one goal in each of their last 10 home matches in NPL Victoria (Australia). Heidelberg Utd have won 73% of their away matches in NPL Victoria (Australia). Heidelberg Utd have scored in 91% of their away matches in NPL Victoria (Australia). Melbourne Knights have scored 2 goals or more in each of their last 6 home matches in NPL Victoria (Australia). Melbourne Knights have conceded 2 goals or more in each of their last 3 home matches in NPL Victoria (Australia). South Melbourne conceded at least one goal in 90% of their home matches in NPL Victoria (Australia). Heidelberg Utd have won 80% of their matches in NPL Victoria (Australia). Heidelberg Utd have scored 2 goals or more in each of their last 3 matches in NPL Victoria (Australia). Vasco da Gama have scored in each of their last 7 matches in Serie A (Brazil). Corinthians have lost their last 4 away matches in Serie A (Brazil). Vasco da Gama have scored in 100% of their home matches in Serie A (Brazil). Parana have lost their last 5 away matches in Serie A (Brazil). 42% of Corinthians’s conceded goals occurred after the 75th minute in Serie A (Brazil). Vasco da Gama conceded at least one goal in 75% of their home matches in Serie A (Brazil). 84% of Vasco da Gama’s points have been earned at home in Serie A (Brazil). Vasco da Gama have scored 79% of their goals at home in Serie A (Brazil). 82% of Corinthians’s points have been earned at home in Serie A (Brazil). Corinthians have scored 35% of their goals after the 75th minute in Serie A (Brazil). 73% of Parana’s matches had under 2.5 goals in Serie A (Brazil). Parana conceded at least one goal in 100% of their away matches in Serie A (Brazil). 92% of Parana’s points have been earned at home in Serie A (Brazil). Parana have scored 75% of their goals at home in Serie A (Brazil). 88% of Parana’s goals have been scored in the second half in Serie A (Brazil). Parana have lost 86% of their away matches in Serie A (Brazil). 92% of Corinthians’s conceded goals occured in the second half in Serie A (Brazil). Corinthians have lost 71% of their away matches in Serie A (Brazil). Parana have failed to score in their last 4 away matches in Serie A (Brazil). Parana have scored 50% of their goals after the 75th minute in Serie A (Brazil). Chongqing L. have scored in each of their last 6 away matches in Super League (China). Tianjin Quanjia conceded at least one goal in 100% of their home matches in Super League (China). Changchun Y. conceded at least one goal in each of their last 7 matches in Super League (China). Guangzhou Ev. have scored in 100% of their home matches in Super League (China). Tianjin Quanjia have scored 2 goals or more in each of their last 3 matches in Super League (China). Tianjin Quanjia have scored 61% of their goals away in Super League (China). Tianjin Quanjia conceded at least one goal in each of their last 7 home matches in Super League (China). Changchun Y. conceded at least one goal in 100% of their away matches in Super League (China). 76% of Guangzhou Ev.’s points have been earned at home in Super League (China). Guangzhou Ev. have scored 78% of their goals at home in Super League (China). Chongqing L. have scored in 86% of their away matches in Super League (China). PS Kemi have failed to win in their last 7 matches in Veikkausliiga. IFK Mariehamn have conceded 2 goals or more in each of their last 3 matches in Veikkausliiga. PS Kemi conceded at least one goal in each of their last 7 matches in Veikkausliiga. 70% of SJK’s matches had under 2.5 goals in Veikkausliiga. PS Kemi conceded at least one goal in 80% of their home matches in Veikkausliiga. PS Kemi have lost 70% of their matches in Veikkausliiga. IFK Mariehamn have lost 60% of their home matches in Veikkausliiga. IFK Mariehamn conceded at least one goal in each of their last 5 home matches in Veikkausliiga. PS Kemi have lost 60% of their home matches in Veikkausliiga. IFK Mariehamn conceded at least one goal in each of their last 11 matches in Veikkausliiga. IFK Mariehamn conceded at least one goal in 90% of their home matches in Veikkausliiga. 67% of IFK Mariehamn’s points have been earned at home in Veikkausliiga. 68% of SJK’s points have been earned at home in Veikkausliiga. IFK Mariehamn have conceded the opening goal in 74% of their matches in Veikkausliiga. IFK Mariehamn have scored 32% of their goals after the 75th minute in Veikkausliiga. SJK have failed to win in their last 9 away matches in Veikkausliiga. KA Akureyri conceded at least one goal in 100% of their away matches in Urvalsdeild. 69% of IBV’s points have been earned at home in Urvalsdeild. 69% of Stjarnan’s matches had over 2.5 goals scored in Urvalsdeild. KA Akureyri have scored 2 goals or more in each of their last 3 matches in Urvalsdeild. 78% of KA Akureyri’s points have been earned at home in Urvalsdeild. IBV have failed to score in 50% of their home matches in Urvalsdeild. 88% of IBV’s conceded goals were conceded away in Urvalsdeild. KA Akureyri have scored in 83% of their away matches in Urvalsdeild. 76% of KA Akureyri’s conceded goals were conceded away in Urvalsdeild. KA Akureyri have lost 67% of their away matches in Urvalsdeild. Vikingur R. have scored 64% of their goals away in Urvalsdeild. 80% of Vikingur R.’s conceded goals were conceded away in Urvalsdeild. 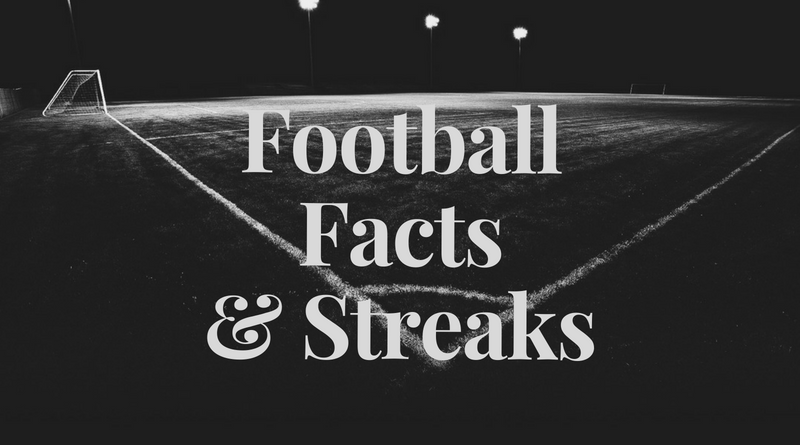 Stjarnan have won 67% of their away matches in Urvalsdeild. Stjarnan have scored in 83% of their away matches in Urvalsdeild. 65% of Stjarnan’s conceded goals were conceded at home in Urvalsdeild. Djurgarden have been undefeated in their last 7 matches in Allsvenskan. AIK Stockholm have scored in 100% of their home matches in Allsvenskan. 67% of GIF Sundsvall’s points have been earned at home in Allsvenskan. Kalmar FF have scored in each of their last 6 away matches in Allsvenskan. Djurgarden have scored in each of their last 7 matches in Allsvenskan. Djurgarden have scored in 100% of their home matches in Allsvenskan. 31% of Djurgarden’s conceded goals occurred in the first 15 minutes in Allsvenskan. Djurgarden have scored 39% of their goals after the 75th minute in Allsvenskan. AIK Stockholm have been undefeated in their last 15 matches in Allsvenskan. AIK Stockholm have scored in each of their last 7 matches in Allsvenskan. 73% of AIK Stockholm’s matches had under 2.5 goals in Allsvenskan. AIK Stockholm have scored the opening goal in 73% of their matches in Allsvenskan. Kalmar FF have scored in 86% of their away matches in Allsvenskan. Seattle conceded at least one goal in 78% of their home matches in MLS. DC United conceded at least one goal in each of their last 11 matches in MLS. Sporting KC have scored 2 goals or more in each of their last 3 matches in MLS. 71% of DC United’s matches had over 2.5 goals scored in MLS. 74% of Houston’s points have been earned at home in MLS. DC United conceded at least one goal in 75% of their home matches in MLS. Sporting KC have conceded 2 goals or more in each of their last 5 matches in MLS. FC Dallas have scored in 78% of their away matches in MLS. DC United have scored 78% of their goals away in MLS. 88% of DC United’s conceded goals were conceded away in MLS. 70% of Colorado’s matches had over 2.5 goals scored in MLS. 71% of Colorado’s points have been earned at home in MLS. Colorado have scored 75% of their goals at home in MLS. Colorado have lost 67% of their away matches in MLS. Sporting KC have been undefeated in their last 9 home matches in MLS. FC Dallas have scored 72% of their goals at home in MLS. Portland have been undefeated in their last 13 matches in MLS. Portland have been undefeated in their last 8 home matches in MLS. 75% of Houston’s matches had over 2.5 goals scored in MLS. Houston have scored in 78% of their away matches in MLS. Seattle have failed to score in 44% of their home matches in MLS. Red Star won their last 4 home games in Superliga. Red Star won their last 3 games in Superliga. Radnicki Nis has over 2.5 goals in their last 3 away games in Superliga. Red Star scored in last 7 home games in Superliga. Red Star scored in last 3 games in Superliga.